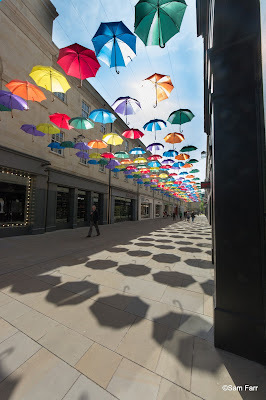 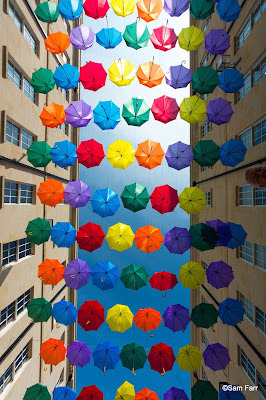 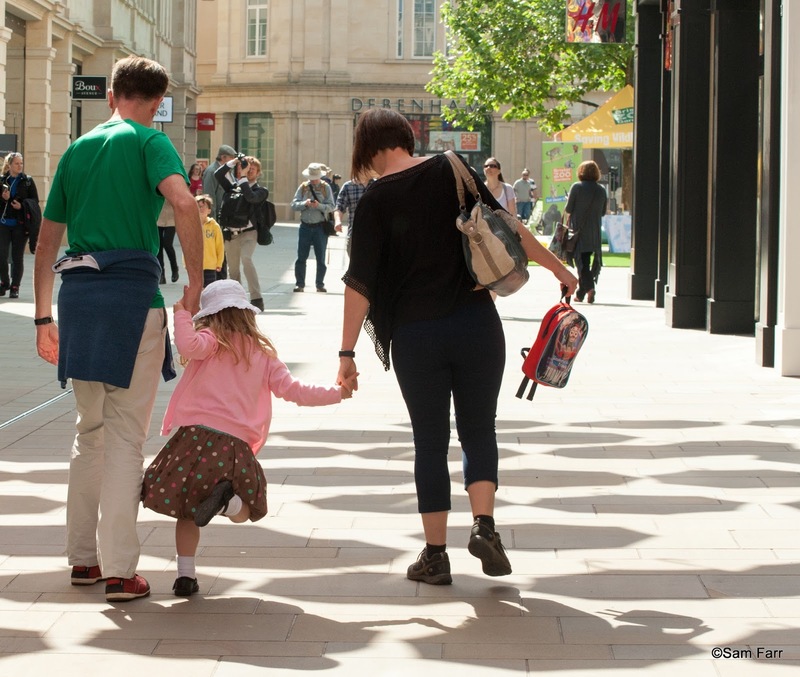 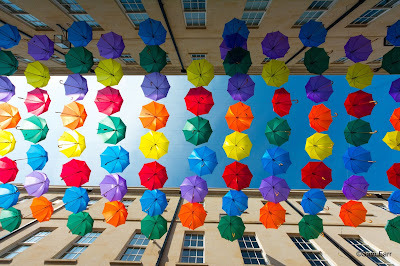 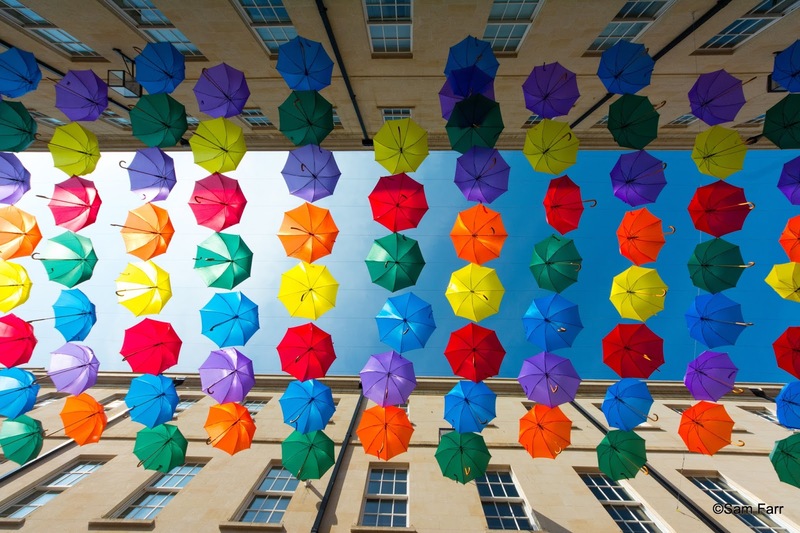 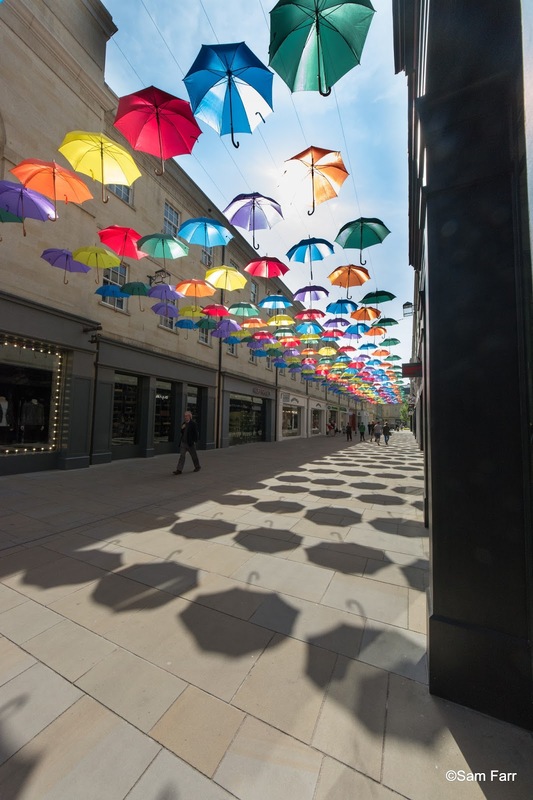 Farr Family Blog part 2: My view of the Southgate umbrellas in Bath. 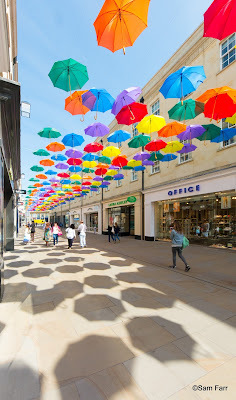 My view of the Southgate umbrellas in Bath. 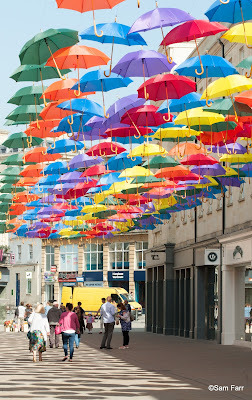 When my kids were young it was don't step on the cracks in the pavement, but now its don't step off the umbrellas or should it be Parasols.